Twelve months ago riders Pol Espargaró and Bradley Smith started KTM’s MotoGPTM story (“adventure” as Motorsports Director Pit Beirer calls it) with a drama-free outing at Losail. The Catalan and Englishman finished in 16th and 17th positions. As the paddock unloads crates and fills the floodlit circuit pitlane this week for the twelfth running of the Grand Prix of Qatar as the championship-opener, the racers and the whole Red Bull KTM Factory Racing setup will be hoping for significantly better. Why? By round two in 2017 Espargaró and Smith had scored their first MotoGPTM points and, together with some impressive wildcard performances from test rider Mika Kallio, would breach the top ten of the ultra-competitive division a total of seven times during the rest of the season. A major news theme around KTM at the moment involves the acquisition of the Tech3 satellite team from 2019. Partnership with Hervé Poncharal’s unit means a gilded path for young riders through the MotoGPTM ladder: Red Bull MotoGP Rookies Cup, Moto3, Moto2, satellite MotoGPTM and factory team. “I’m happy that our structure is in place and that will mean four bikes on the grid in MotoGPTM in 2019. 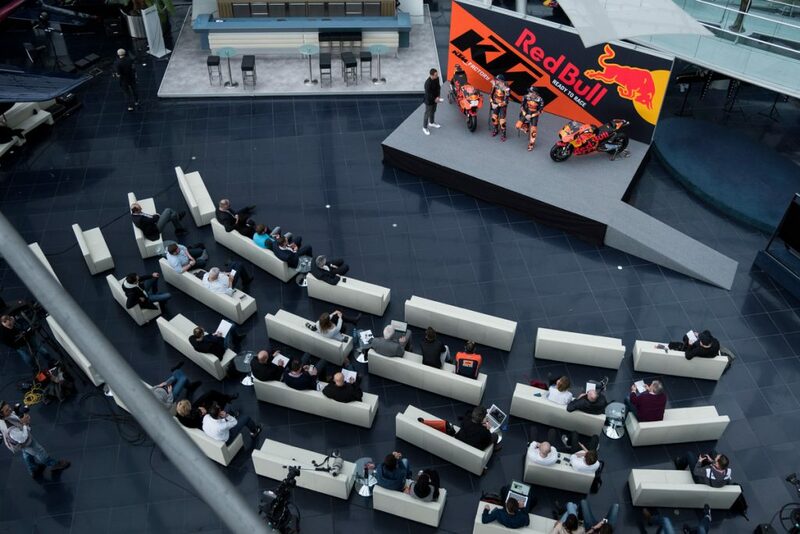 It’s pretty cool that a rider can stay with the Red Bull KTM family through the classes,” said Beirer for a scale of progression that no other manufacturer can boast.